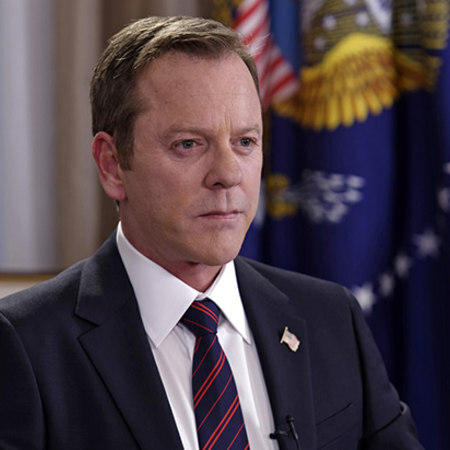 #Keiffer Sutherland's portrayal of President Tom #Kirkman denotes the type of leadership America and the World needs today. Abruptly, and shockingly, his character's former small and somewhat meaningless government role in the first episode of season 1 is forced into the role of a temporary Presidential position, due to a Capital bombing that took out the previous President, VP, most of his cabinet, and much of Congress. Leaving him the next in line to lead America and the rest of the world, while establishing new people for all of those now eliminated leaders, who filled those seats, previously. Throughout 2 seasons, up to date, Kirkman has been through audacious situations such as an attempt on his life, the first lady's sudden death in a car accident, attempts to undermine his Presidency from both Democrat and Republican Congressman and leaders, a tempestuous ex-President trying to destroy every move he makes, and pin him publicly as a danger to America, and mentally ill. We've watched this #President make independent decisions to protect Americans at times of terror. He has imbibed a loan, and sometimes rogue female FBI agent, under his power, to search out those seeking to harm #Kirkman and the government at large and dismantle a deeply organized plan by numerous involved American and Russian spies, and needless to say, American government leaders. President Kirkman, getting pushed and prodded from all sides, as well as recently revealed ending the last episode, stabbed in the back by the closest confidant he has; greatly represents a genuine, intelligent, malleable, empathetic leader of the World which the United States would greatly benefit from, right now. A Kirkman type Presidency would protect some of the great policies put in place by his "predecessor" President Barack Obama, while realistically adopting some of those policies to be more fitting to their effectiveness, without tearing down a former President's important and meaningful legacy. A Kirkman Presidency would guarantee America and the World, a fair balance in policy making, and international support. 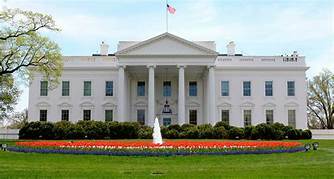 It would offer America a very new and greatly desired leadership unlike any we had previously enjoyed under opposing party leadership, with an even, Independent viewpoint, our country has never seen. It's possible and strongly indicative of the current times, and leadership, that America is finally ready, and powerfully in need of an Independent leader, a leader who doesn't owe anyone anything, shockingly thrown to the forefront of Presidential runners. America desperately needs a Tom Kirkman style Presidency to set this country straight, and guide a nation of citizens to the middle, carried to center, to reestablish the original intent and purpose of America, established upon our finding and induction, as a sovereign nation, in 1776. We desperately need a government absent of the power of Capitalism controlling it's every move. The disparaging situations brought on by and supported by lobbyists of powerful groups such as the NRA, ATF, left-wing and right-wing extremists, KKK, IRS, Neo-Nazis, Energy and Oil giants, Independent Contract Militants, War machine developers, Congressman, State Law persuaders, and the like, are destroying our nation, the American Dream, and purposefully setting an unbalanced division between the poor, and the small percentage of rich usurping all the power possible. America is no longer the land of the free, although still being defended by an over tax-supported home of the brave (much of those taxes being more needed for our veterans rights, and healthcare in their own land, and home of appreciative citizens). An Independent leader, such as President Kirkman on 'Designated Survivor' would give true independence back to the America people, and strip the government of treacherous, and treasonous power that is ripping our great land apart, dividing it between the very citizens whom all take part in its power and greatness; from the average fast-food worker to the mayor of your town, and beyond. Possibly, instead of seeking to wipe out the Republicans, or designate Democrats the answer to our problems, since neither has been the answer for decades, maybe we should all escape the narrow thinking and blood-sucking callings of our parties, and all vote for a new, and unknown Independent this coming November in each of the elections at hand. This could give our next leader, upon the fall or impeachment of the indescribable animal in our White House Presidency at the current time, a chance to prove to the people of America that Independent leadership, thinking, balancing of all aspects of our government, and a President of the people just might be our long-lost answer to true freedom, growth, and compassionate, empathetic support of its citizens and our allies. We could be a real example of strength, and fortitude to our enemies. Guiding us to a newly elected and first Independent President of these United States of America in 2022. If you are one of those reading this, who see the sensibility in all this I layout, or are from foreign soils hoping for a better Ameria...fight. Throw up a battle for your votes, and the votes of others. Talk to your family members, friends, and potential leaders, and help make them see the importance of a nation for all, and all for a nation (slightly stolen and reworded, from the 'Three Musketeers'). A Review of ABC’s New Television Drama: ‘For The People’, Speaks to the Reality of Justice!